It’s hard to take a wine region seriously when its claims to fame were the birthplace of A&W Root Beer and the Creedence Clearwater Revival song, “Stuck in Lodi Again”. For most of the 20th century Lodi had the stigma of being a “box or bulk” wine producer. The region still produces 20% of the wine grapes grown in California. Many of those are of the bulk variety but as another song said, ”the times they are a changin’ ”. Perhaps more than any other California wine region, Lodi is a land of contrasts. There’s that whole “bulk wine” thing but over the last 25 years or so, Lodi has slowly begun to cultivate a well-deserved reputation as a producer of fine wines but that reputation is just beginning to scratch the surface of what’s actually happening among many of the boutique wineries. What started the ball rolling was when Lodi began to be noticed for producing exceptional Zinfandels. If California can lay claim to having a state wine, it’s probably Zinfandel. True, Zinfandel came to California by way of Italian immigrants who in turn, brought it across the Adriatic from its original homeland of Croatia but California produces more Zinfandel than any other region on the planet. 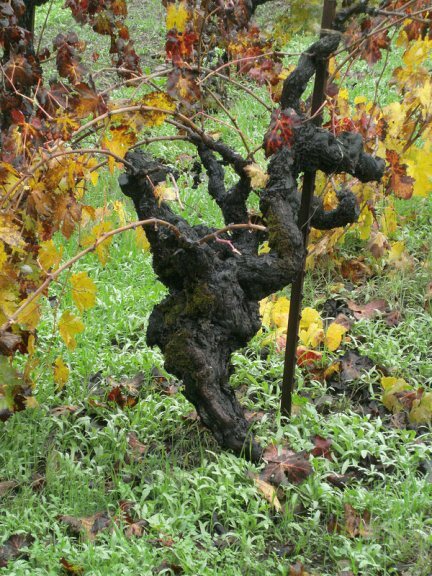 Zinfandel is arguably what put Lodi on the wine map, but in the early to mid 20th century, Zinfandel was a grape that garnered little respect from serious wine enthusiasts. Traditionally, it struggled for market share against the more “noble” red Varietals like Cabernet Sauvignon, Syrah and Pinot Noir just to name a few. White Zinfandel hasn’t done anything to assure its place in the Pantheon of fine California wines either. Only in the last 15 to 20 years has Zinfandel begun to achieve its well-deserved place in the hierarchy of fine California wines and as Zinfandel’s reputation has grown, Lodi’s reputation has grown with it. What most wine enthusiasts still don’t understand through is that Lodi has moved far beyond being just a Zin producer to the point where it now grows 125 different types of wine grapes. Many of these are used in blends, but many are now appreciated as single Varietals. Lodi’s reputation began to accelerate further when a number of Lodi’s Cabernet Sauvignon producers also began to gain a measure of notoriety. Still feeling a little dubious? In 2015, Lodi was named Wine Enthusiast’s Wine Region of the Year. What affords Lodi the chance to grow such a dizzying amount of wine grapes are its varied microclimates. Lodi sits squarely in the climatic influence of the expansive Sacramento River delta so enjoys slightly cooler daytime temperatures and much cooler evening temperatures than the rest of California’s Central Valley, a region known for blistering summer heat. Lodi growers are even producing passable cooler weather varietals like Chardonnay (I say passable because we only had one and it exceeded our expectations but it’s hard to draw a broad conclusion from a sample size of one). Lodi’s latest sweetheart Varietals appear to be, Tempranillo and Albarino, both of Spanish origin, and are quickly gaining acceptance with US wine enthusiasts striving to find something beyond the tried and true French Varietals. If you are one of our frequent readers, you’ve probably seen numerous mentions of these in our blogs on wine. If you are curious about food and wine parings for these Varietals (or any other for that matter), check out our pairing tools to find a food to pair with a specific wine or to find a wine to pair with a type of food. I have a number of ties to Lodi and really wanted this to be a great experience. My father grew up there and my Grandfather had a blacksmith shop in the little town of Victor, just east of Lodi. I learned how swim in the Mokolumne River near my grandparents’ house and my cousin Brian moved just outside of Lodi 30 years ago and has become quite familiar with the wine scene there. 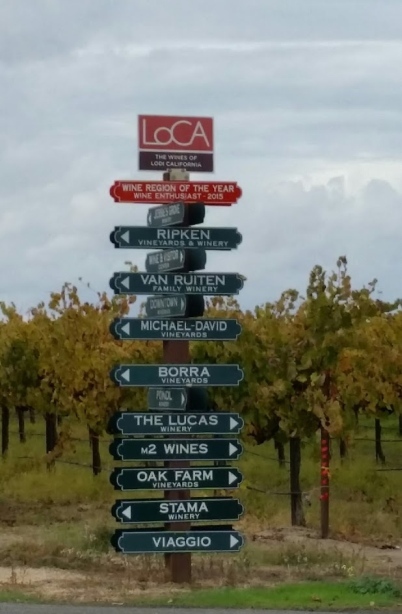 We did a short tour of Lodi in 2013 and generally liked what we tasted so we were hoping for a repeat of a great trip. We weren’t disappointed. We tasted at five of the smaller wineries to sample the latest offerings, each of which has an upcoming blog entry. Based on what we found, we’ll be happy to be “Stuck in Lodi Again”.